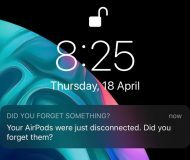 As promised, on Friday the new 7.9-inch iPad and a retooled fourth-generation iPad with Retina display both went on sale in what goes down in history as Apple’s broadest and deepest iPad launch ever. The initial pre-order stock was sold out within hours a week ago, with expectation that the smaller iPad will move 1.5 million units during the weekend. 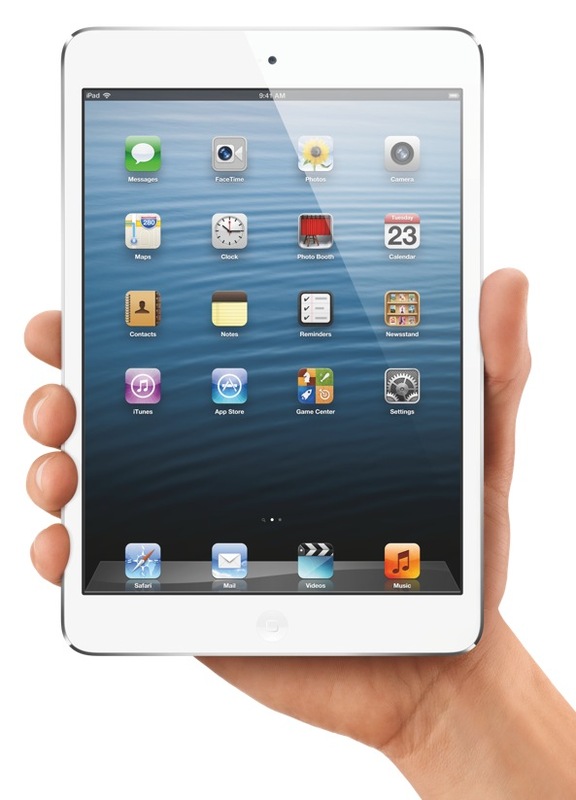 The iPad mini first hit New Zealand hours ago. The gizmo represents, according to Brian White of Topeka Capital Markets, Apple’s “broadest and deepest iPad launch ever, just in time for the holidays”. Reuters reports that Europe also saw shorter lines than for past launches. About 100 fans queued in the rain in Amsterdam, while in London’s Regent Street about 50 people were still waiting to buy a device a couple of hours after an Apple store opened its doors. 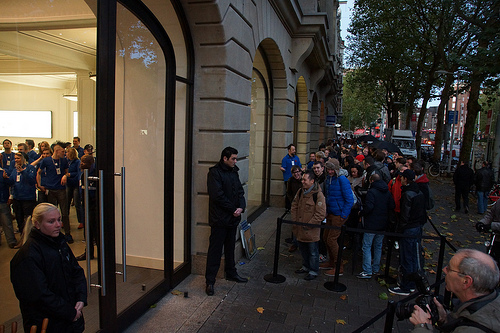 This is the line outside Apple’s Amsterdam store, courtesy of Floris Looijesteijn. No jokes about the “mini” lines, please. In comparison, the iPad 3 launched in just twelve countries back in March. 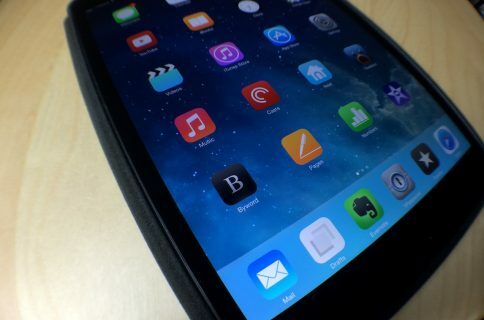 The iPad 2 and the original model were available only in the United States at launch, later rolling out worldwide. 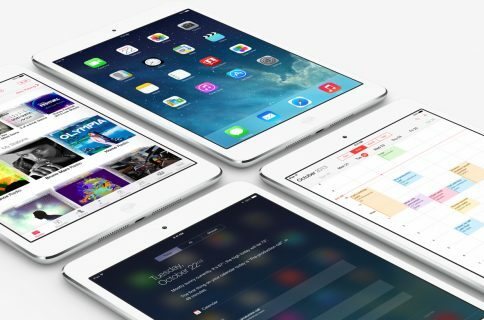 In addition to the United States, United Kingdom and Canada, the iPad mini launched today in Australia, Austria, Belgium, Bulgaria, Czech Republic, Denmark, Finland, France, Germany, Hong Kong, Hungary, Iceland, Ireland, Italy, Japan, Korea, Liechtenstein, Luxembourg, Netherlands, New Zealand, Norway, Poland, Portugal, Puerto Rico, Romania, Slovakia, Slovenia, Singapore, Spain, Sweden and Switzerland. 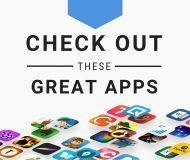 Here are some nice launch videos, courtesy of Fortune. It’s available in black & slate and white & silver and the usual storage tiers: 16/32/64GB for $329/$429/$529. The Wi-Fi + Cellular model is a $130 extra and will ship a week from today. 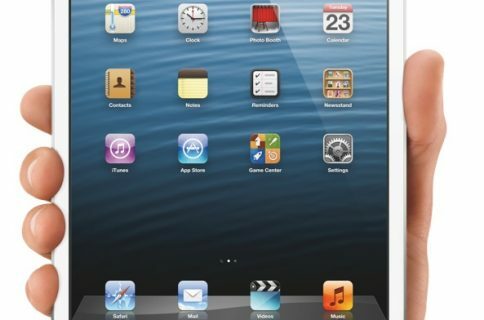 Apple will announce additional countries getting the iPad mini in due time. Our own Jeff Benjamin already has his unit and will be posting the unboxing video. The iDB will be right here, reporting throughout the day about the launch festivities, posting hands-on videos, our impressions and everything else we find out about the device so stay tuned. Did you stand in line for your iPad mini?